The stretcher is used to straighten the profiles after cooling. The system of campling of the profile for the stretching is carried out through oxyfuel fingers treated with superficial hardness. The upper clamp is formed by several independent fingers operated by a hydraulic cylinder and a fixed lower clamp at the base of the head. The clamps are self-locking type: the upper is placed on the profile without applying any pressure and is the same stretching force that holds the profile during the phase of traction. 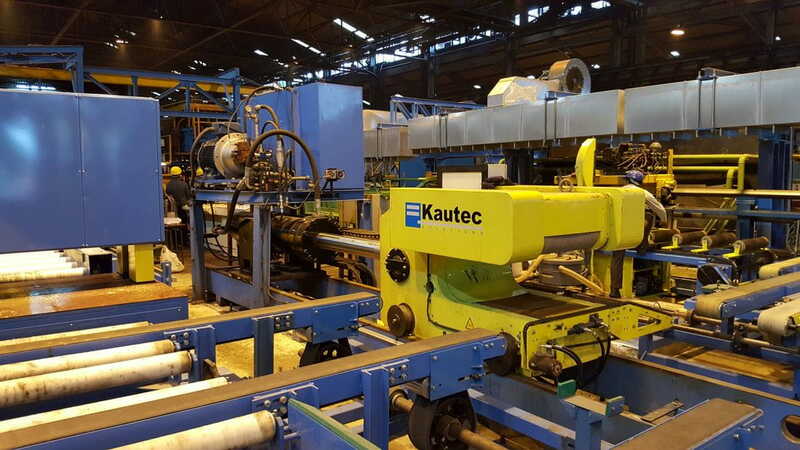 KAUTEC can supply a wide range of traction heads, from 25 Tn to 150 Tn.